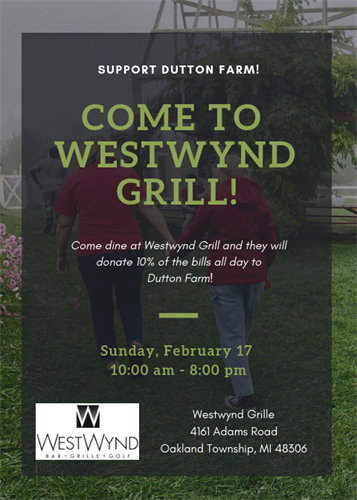 Support Dutton Farm at Westwynd Grille! Name: Support Dutton Farm at Westwynd Grille! Come to Westwynd Grille on Sunday, February 17th and dine with them! All day long, they will donate 10% of bills to Dutton Farm. No flyer needed!